Australian-listed property developer and infrastructure group Lendlease will preview Park Place Residences at Paya Lebar Quarter (PLQ) on March 11. The project is slated to be launched on March 25. 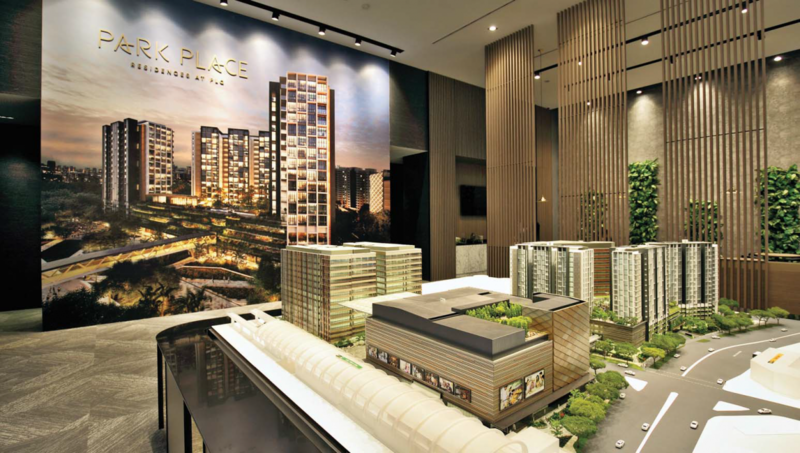 The 429-unit Park Place Residences at PLQ is part of Paya Lebar Quarter, an integrated development that includes a shopping mall with more than 200 shops and three towers with almost a million sq ft of Grade-A office space. The project will have a direct link to the Paya Lebar MRT interchange station. Park Place Residences marks Lendlease’s maiden venture into residential property development in Singapore after a 44-year presence. The $3.2 billion Paya Lebar Quarter, which occupies a 3.9ha site, is set to rejuvenate Paya Lebar Central, which URA designated as “a pedestrian- friendly commercial hub with a distinctive cultural identity” in the 2008 Master Plan. The other significant attribute of the project is that it is served by both the East-West and Circle MRT Lines. “As it enjoys these attributes, Park Place Residences at PLQ will definitely be on the radar of many homebuyers,” adds Ong. Units at Park Place Residences at PLQ will be a mix of one- to three-bedroom apartments across three towers. The residential blocks will be linked to the mall via an overhead bridge on the second level and in the basement, with another sheltered overhead bridge linking the residential towers to the office blocks.